Peony Sarah Bernhardt is a beautiful Pink cut flower. It is approx. 55cm and wholesaled in Batches of 10 stems. The Peony, (or Paeony), is the name of the flower in the genus 'Paeonia'. Peonies are native to Asia, North America and Southern Europe. 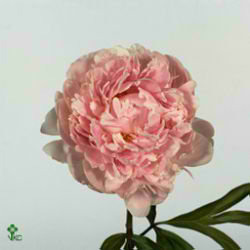 The peony is named after Paeon, the Greek god of medicine and healing. Another little known peony fact is that in 1957 the Indiana General Assembly made the peony the state flower of Indiana, a title it still holds to this day.